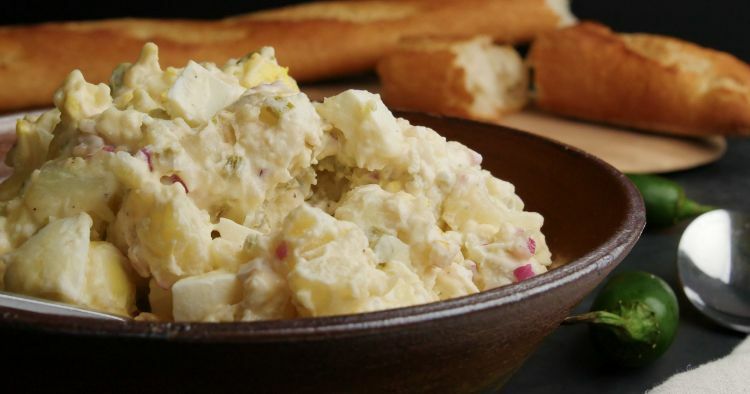 Potato salad is a favorite side for a backyard barbecue. This version kicks up the flavor with chopped pickled jalapeños, as well as a dousing of the brine from the pickled pepper jar. The brine soaks right into the potatoes for a sneaky flavor boost diners won’t expect. Serve this salad alongside barbecued ribs, burgers or chicken. We use russet potatoes here because they soak up the other flavors better than waxier potatoes like red-skinned or Yukon gold, but you can substitute the other varieties if they’re what you have on hand. Russet potatoes should be peeled and diced before cooking, but smaller potatoes can be cooked whole. Use the Instant Pot so you can easily cook the potatoes and eggs together in the same pot. 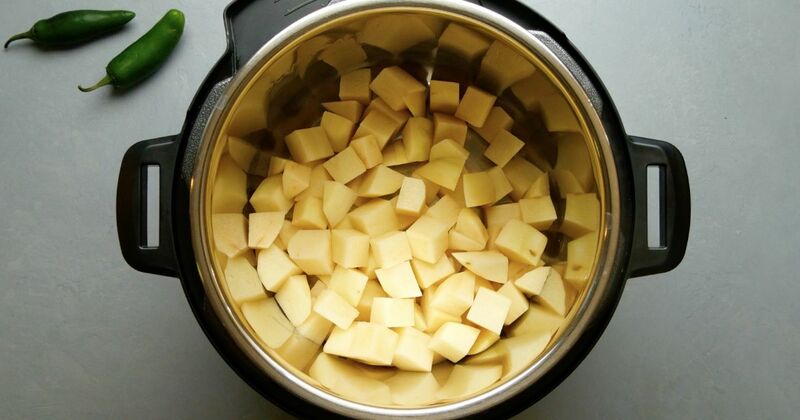 Place the potatoes in the Instant Pot and add the water, salt and eggs. Close the lid of the pot and turn the valve to the sealing position. Choose high pressure and set the timer for 0 minutes. When the cooking time is up, let the pressure release naturally for 5 minutes, and then quick release any remaining pressure. Drain the potatoes in a colander. Place the eggs in an ice water bath. Transfer the potatoes to a large mixing bowl and toss them with the pickled jalapeño brine. Let stand until cool, about 20 minutes. Peel and chop the eggs. Add add them to the potatoes along with the jalapeño, onion, mayonnaise and hot sauce. Fold gently to mix. Season with salt and pepper to taste. Share this yummy recipe on Facebook.